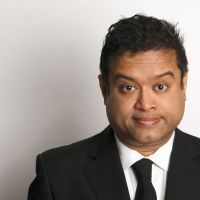 Paul Sinha returns to Hot Water in Liverpool with his latest solo show, direct from this year’s Edinburgh Festival. In his 2015 Edinburgh Fringe show, the stand-up comedian and doyen of daytime, weaved an intricate tale of happiness based on a combination of doing the two jobs he loved, enjoying parental approval, and, actually being in a proper, grown-up, long-term relationship. The day after he returned home from Edinburgh, the illusion of happiness was shattered. Was this the end? The beginning of the end? Or the end of a beginning? Paul has written and performed his own series on Radio 4, is a frequent guest on Radio 5 Live’s Fighting Talk and is the Chaser, known as The Sinnerman, on ITV’s The Chase.